CIPM Sri Lanka, the Nation’s leader in human resource management will inaugurate the 5-day Certified HR Auditor Programme on 26th March 2019 at the Ozo Colombo. This popular certification programme which provides a deep understanding of the purpose, importance and a proven methodology of conducting a corporate HR Audit is conducted jointly with T. V. Rao Learning Systems (Pvt) Ltd of India (TVRLS) for the 5th time in Sri Lanka. 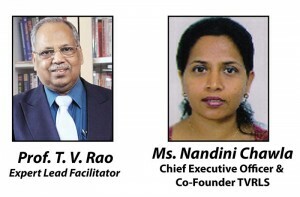 Prof. T. V. Rao will conduct the course as the Expert Lead Facilitator together with Ms. Nandini Chawla (Chief Executive Officer & Co-founder TVRLS). Professor T V Rao is the founder and the Past President of the National HRD Network of India and the Honorary Director, Academy of HRD of India. At the end of the 5 days, an evaluation will be conducted and the Certified HR Auditor Certificate will be issued to each successful participant. The programme consists of 5 modules. “The Certified HR Auditor programme is an important and valuable asset. It also helps to build capacity in our human capital which is an essential ingredient in managing growth and expansion” said Sarath Jayasinghe-Chairman, Standing Committee on Consultancy, Training & HR Services, CIPM Sri Lanka. “In order to position the Nation as a powerful contender for regional investment, CIPM Sri Lanka considers developing the skills of HR professionals to a globally competitive level as one of its prime responsibilities. The CIPM Certified HR Auditor programme is one such initiative catering to this national endeavor and will be conducted in the future as well. As we move forward as a nation to make Sri Lanka a hub for HR expertise, these types of programmes will certainly add value” he added. The targeted audience for the Certified HR Auditor Course includes HR Directors, Head of HR, HR Managers, HR consultants, HR trainers and HR staff from Government and Statutory bodies. The participants will be able to develop HRD Audit and HRD score-card 2500TM scoring skills, assimilate knowhow on the scientific methodologies and assessment of HR practices, HR systems, HR strategy, and Management Leadership styles. Furthermore, they will also gain exposure to different HR practices, develop a systematic framework for need analysis and profiling of HR function in an organization. The minimum entry criteria for participants are PQHRM/Diploma in HRM awarded by CIPM or member of CIPM or Bachelor’s Degree/MBA in HRM from a recognized University and minimum of 5 years managerial experience in the field of HRM in a recognized public or private sector organization. As the programme is conducted in English, participants are expected to possess a good command of English both written and verbal. Companies and organizations stand to benefit from HR Audits by getting feedback on the contribution of the HR function to the organizations strategic business objectives, assessment of the current quality of HR practices, policies, delivery and preparedness for the future, audit competencies for future use, understand ways to align HRD function with business goals, developing the organization’s HRD Scorecard, setting guidelines for re-establishing HR performance standards and identifying areas for change and improvement with specific recommendations. CIPM has produced 105 HR auditors from the past 4 HR Auditor programmes who are practicing well in the field of HR. “The facilitators of the programme are well versed and qualified in the subject matter. Participating at the Certified HR Auditor programme has enabled me to gain extensive research insight into HR. This will help to build my professional understanding of human resource development, and has provided me with tools and techniques to effectively carry out HR audits. I would like to commend the organizing team of CIPM for their professionalism and kind hospitality which contributed to its success while maximizing the learning during the 5 days of workshop” said Mariyam Fiyaza-Executive Director, Investors in HR, Maldives, an international participant at the 4th CIPM Certified HR Auditor programme.